For courses in Educational Psychology, Advanced Educational Psychology, and General Methods for the elementary, middle school, or secondary levels. 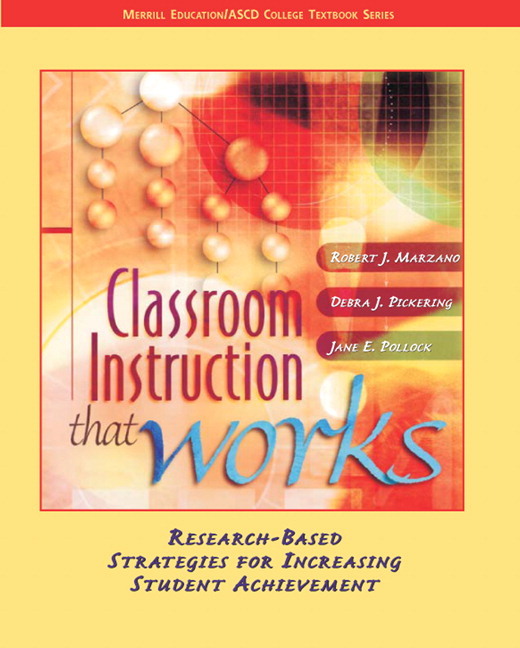 This brief text is a perfect resource for all educators seeking research on the best strategies for raising student achievement through classroom instruction. A guide for educators of students in K-12, readers will find a wealth of research evidence, statistical data, and case studies. Nine categories of instructional strategies that maximize student learning are introduced, along with the pertinent information to understand and synthesize each. Research evidence, statistical data, and case studies on strategies for raising student achievement and by how much. Charts, frames, rubrics, organizers, and other tools--will help teachers to apply the strategies immediately in the classoom.